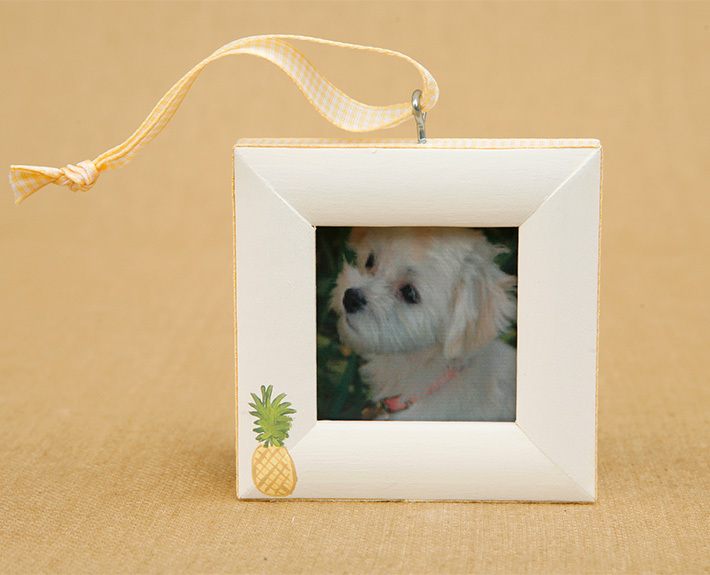 This charming Christmas Tree ornament features a universal sign for welcome, the pineapple. 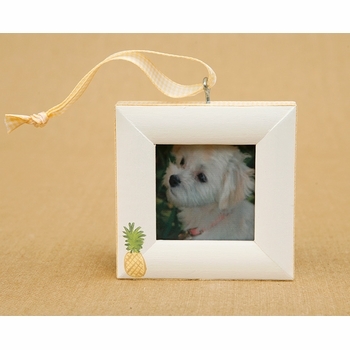 Soothing and tropical, the picture frame ornament makes a perfect hostess gift! Order a few to have in the gift closet for tying onto a package or around a bottle of wine. The ornament can also be personalized with a family name or address. A wonderful way to celebrate the holiday's all year long. All ornaments are custom made to order and ship directly from the designer.